A network provider has been enhancing the lives of blind and partially sighted people with free mobile training sessions. Three has teamed up with 50 community organisations including RNIB, Girlguides and Age UK to deliver free ‘Discovery’ sessions that are for everyone, not just Three customers. The sessions aim to help blind and partially people explore mobile technology and learn how to get the best from their device, whether it be social media, staying safe online or troubleshooting clinics. Three is even supporting schools with curriculum-based projects and is running a Junior Discovery Club initiative during school holidays to get children with vision impairment up-to-speed with all things digital. 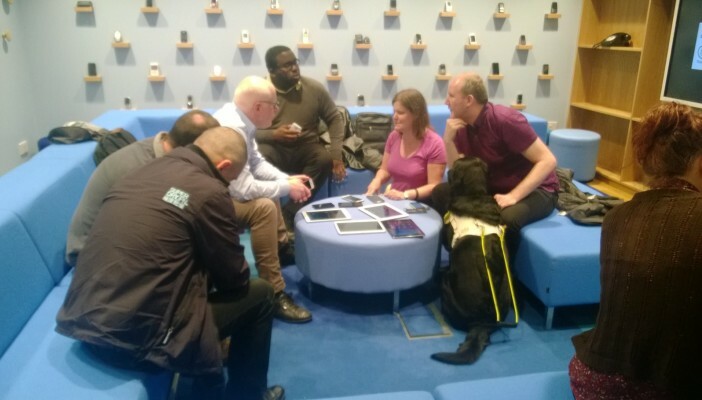 Robin Spinks, senior strategy manager at RNIB, said: “Three's Discovery sessions provide a unique chance to explore and learn about the latest devices, apps and services in a focused but non-pressured environment. So far the sessions have been held in specially made spaces in England, but due to the success of the project to date, 50 Three stores across the UK will be adapted to deliver the training. Bespoke group sessions are also available for people of all ages. RNIB also delivers technology and online training for people with sensory loss. Find out more about Online Today.